Helping you teach with less reliance on the textbook through technology, creativity and innovation. Hosted by Ditch That Textbook author Matt Miller. Minute by minute, you can buy back time for what matters most with keyboard shortcuts. In this episode, I share some of my favorites that you can use to make yourself more efficient! 106: How does storytelling fit in your lesson? There's a story in everything. Our brains are wired for story. How can we incorporate elements of storytelling into teaching and learning? 105: How to "mixtape" your curriculum, 80's style! We used to use cassette tapes to record our favorite songs on "mixtapes" that we'd listen to over and over again. (At least I did.) Instructional coach Stephanie DeMichele suggests that we "mixtape" our instruction! She offers a framework for doing it, too. Drive the same route to school for a while and you'll do it on autopilot. Why? It's easier on your brain that way. It can ignore what it's doing. That's "repetition suppression": you ignore what you do repeatedly. This isn't a good thing in the classroom. We don't want students to ignore. This makes the case for novelty! 103: FREE Ditch Summit presentations. Hurry! Until Sept. 21, 2018, eight FANTASTIC video presentations are available at DitchSummit.com! You'll get practical ideas and inspiration from all of the presenters. But don't worry if you miss it. There's a Ditch That Textbook Digital Summit every December. Head to DitchSummit.com to sign up for updates so you don't miss it! When we're teaching or presenting, we get in a state of speaking flow. The ideas are coming and we're spitting them out. But many times, we're moving faster than our listeners can process. A pause is a breath of fresh air and some mental processing time. It's powerful! Students get bombarded by media and messaging all day long. Cell phones. Social media. Videos. And the communication that comes through all of them. How can they maintain a balance and live their best lives? Michigan educator Paul Murray has some suggestions. Wow, 100 episodes! It's been a fun learning experience for me, and I hope it has been for you. I do a little reflection on the creation of this podcast and share three things I've learned from having created it. THANK YOU for being a listener and being on this journey with me. Here's to 100 more episodes -- and more! Google Classroom lets teachers customize their students' learning experiences. But what are the best ways to do that? Michigan teacher Jacqueline Pora (@lasenorapora) shares several clever Google Classroom differentiation ideas that she uses in her class! Good teaching practices should be at the heart of what we do, and it's definitely at the heart of the HyperDocs framework. Sean Fahey (@SEANJFAHEY) and Karly Moura (@KarlyMoura) took that powerful framework and shared examples of how it could be spread to many areas of instruction with digital tools. Check it out! When learning is addictive, kids want to come back for more, says Brian Romero Smith Sr. (@brianrsmithsr). But how do we create that addictive learning environment? It all comes down to a few things, Brian says, and he shares them in this episode. Have you caught on to the HyperDocs craze? Sean Fahey (@SEANJFAHEY) has made lots of HyperDocs in his own classroom. He shares tips to help your HyperDocs succeed in your own classroom! 095: Flipgrid + scavenger hunt = Fliphunt! it's a Flipgrid scavenger hunt! Kathi Kersznowski (@kerszi) tells us all about her newest creation and how we can bring it in the classroom. One of our most powerful tools as teachers is silence. It can reclaim students' attention. It can give students space to think. Sometimes, we just don't think of it -- or don't realize its potential. Iowa educator Shaelynn Farnsworth (@shfarnsworth) and I discuss. Flipgrid, the video response tool, is now totally free for anyone. And recently, lots of new features became available. In this episode, we'll outline some of them so you'll be ready to start using them this school year! It's August, which means exciting changes to many of the tools we use in the classroom. Google Classroom has a facelift and some new features. We dive into several of them in this episode. If you're starting a new school year (or have already started one), goals may be top of mind right now. Keven Rinaman talks about goal-setting strategies and how to have a successful year with them. Are traditional exams -- especially standard multiple-choice ones -- serving our students? Can we do better? Stephanie DeMichele, an instructional coach from Ohio, and I presented on this concept at a conference recently and share some ideas from it. Did you ever spend time catching fireflies (or "lightning bugs") as a child? Author Troy Cockrum believes that learning should be more like that, where we capture our students' interests. He talks about the ideas he shares in his recent book. 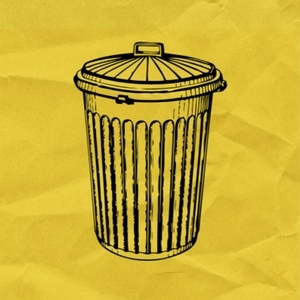 088: A sticky note tech app smash! We usually use sticky notes in the physical world to gather and save ideas. But by smashing the Post-It app and Google Drawings together, your students can do some unique digital brainstorming. Kelli Lane, a tech integration specialist from Illinois, shares how. Quizizz is a fun, student-centered study tool. Many teachers use it to help students review material they've studied. But other teachers are innovating and using Quizizz in very clever ways. Deepak Cheenath, co-founder of Quizizz, shares some ideas. Sarah Kearns has spent her entire career in the corporate world, now working as Director of Marketing for ViewSonic. Her perspective helps us see what the work world really wants from students and how we can help prepare them for it. Missouri administrator Lance McClard and I participated in a panel discussion at the ISTE Conference in Chicago. Lance shares some of his takeaways and his responses to questions, including: "What happens when everything blows up in your face?" What if your students could partner with organizations outside of school? If they could brainstorm solutions to big problems together? Sidekick Education is making that happen. Sarah Shaw shares how all sorts of classes are starting these projects. 083: Try the Connected Kahoot! Kahoot! games don't have to be limited to the students in your classroom. Steve Auslander (of Indiana, USA) and Steve Sherman (of Cape Town, South Africa) share how a video call can turn your traditional Kahoot! game into a "Connected Kahoot!" game. 080: Let's do PD (or class!) at a destination! One of the coolest professional learning experiences I've seen was at a zoo. We did PD at a ZOO. I got to reflect with Kari Espin and Andi McNair of Region 12 ESC in Waco, Texas, about the experience and how classes/schools could do the same. I found an amazing way to merge student art and creations with augmented reality at a recent visit to Region 12 educational service center in Waco, Texas. We talk about how it could be used in schools and the classroom. Now's the time to get FREE inspiration and ideas online! Check out three "digital summits" -- awesome speakers you can watch from the comfort of home on your time! Google recently announced that teachers could impose "locked mode" when giving students quizzes in Google Forms. This prevents students from switching to other tabs while taking a quiz. Lots of teachers certainly asked for this feature, and I can imagine why. But it feels like a move that moves us in the wrong direction heading into the future of education. Mike Pennington learned early in his education career that instruction isn't limited to the teacher standing in the classroom. He shares how he co-taught with teachers beyond his state -- and how YOU can too! Animated GIFs are these fun, very useful moving images you see all over social media. But you can make your own -- so can your students -- and they can support teaching and learning! Jake Miller shares his expertise in this episode. Looking for inspiration on using Skype, Google Hangouts and the like in the classroom? Ohio educator Ann Radefeld has plenty of experience and shares her ideas with us! 073: Video call guests: Just ask them! Todd Shriver teaches the "History of the 80s" elective class. There are no textbooks available for that class! He brings the luminaries of the 80s to his students. My takeaway from this episode: you never know who you can get until you ask! Indiana educator Ryan Mitchell created an Expedition with his students of their town. He shares how they did it and tips to help it succeed. How can we best help students to improve? The late Grant Wiggins provided a fantastic framework and suggested these 7 keys in a post on ASCD. Teachers can be hesitant to let students provide each other feedback. We can't control what they'll say and it takes effort to coach them to do it well. But student feedback is POWERFUL and we should consider all the potential benefits. How long is too long between review sessions of old material? How short is too short to be effective? Research has some guidance for us. One of the best professional learning experiences you can get from home in the summer is #iste18 on Twitter. Learn how to tap into it! It's easy to let ourselves slip, to express our frustration to students (and colleagues) in not so helpful ways. A study shows the negative effects of this and suggests some corrections to help. It's a great reminder. Wakelet will let you save the web -- tweets, social media posts, links, images -- into curated lists. It's great for organizing and storing tweets for later. What can students do when they've learned about civilizations all over the world? How about create their OWN country in a world created by the class? Texas social studies teacher Ben Lewis caps off his year with this project. Even if you don't teach social studies, this is an inspiring project. Alexis Crutchfield, Katrina Yang and Brittany Bondy are believers in Seesaw, a platform for student digital portfolios and parent communications. Hear how these teachers use it in their classes at Sampson Elementary School in Cypress, Texas. Genius Hour can put a spark in your class, giving students opportunities to pursue their passions. Fourth-grade teachers Kayla Swonke (Twitter: @kaylaswonke) and Lyndsey Kubos (Twitter: @lyndseykubos) share some ideas and lessons from implementing it in their classrooms. 059: What's your WHY, and has it changed? Google's machine learning is improving lots of its products. Now, it can help us create multiple-choice questions without brainstorming incorrect answers. See how these smarter Google Forms can make your life easier. Repetitions help students make new concepts permanent. But mindless repetitions are a lot of action without great results. But creating engaging repetitions can make for sticky learning! Learn more about this in the video at http://DitchThatTextbook.com/part2. How can we incorporate more passion-driven learning and more hands-on projects into our classes? I found this advice from Don Wettrick (@DonWettrick on Twitter). It's a framework for crafting our classes. It's an interesting take and one that could have HUGE benefits. When we let too many digital tools into the classroom, it can be overwhelming for students. And tech overwhelm is DEFINITELY an issue for teachers. Can we find ways to do new things with the tech students are already comfortable with? I've stumbled upon a new digital assessment/review tool that shows promise. It's like Kahoot with a store where students can buy power-ups to use in the game. It's called GimKit (gimkit.com). The free version is limited, but it's definitely worth checking out. It finally happened. I missed a day in my daily podcast. Actually, I missed two. So, according to Jon Acuff's book "Finish", today is the most important day in my podcast goals: the day AFTER perfect. At the end of the school year, it's the perfect time to take stock of what's working and think about different ways of teaching in the future. I talked about this idea on Classroom 2.0 LIVE, a weekly web show at http://live.classroom20.com. Check this one out as well as future episodes! 050: Love TED Talks? Teach like them! TED Talks have inspired millions. How can they influence our classes? Rachael Mann of Teach Like TED talks about how we can empower student voice and help students express their ideas and their learning more effectively. Some of the fundamentals of computer programming / coding, like if/then statements and logic, are likely already present in your class. By identifying them and changing how you talk about them, you may be able to highlight coding in class without changing much. Code Breaker author Brian Aspinall discusses that and more in this show. 049: What do our assessments reward? How can we create.assessments -- and assess student learning -- that truly demonstrates what they know? Brian Aspinall returns to the show to discuss. When we switch our teaching from traditional means to the online world without making modifications, we miss out on the greatest parts of digital instruction. Michele Eaton shares how to make the most of it. 046: Escalate or de-escalate? Humanize or de-humanize? This quote by Haim Ginott had a HUGE impact on me as a young educator. It still speaks to me today. At the end of the school year, it's something we have to keep in mind. We have ENORMOUS power on the climate of our own classrooms. I (Matt) didn't major in education in college. It was journalism. I worked several journalism jobs before becoming a teacher. I wouldn't change it, though. Here are some great skills I learned from the journalism world that helped me as a teacher. "If you're not hearing from every student in every classroom, you're doing it wrong." What do you think of this quote? Technology can help teachers hear from every student in ways we couldn't before. It's happened to all of us. A lesson is going great and ONE kid is spacing out -- OR giving you the death stare. That student is all we can think about afterward. Remember that ONE disconnected student doesn't mean failure in teaching. Inquiry is a great way to help students own their learning and learn how to pursue their curiosity. KQED Learn is a platform that's set up for students to start exploring, discovering and sharing. It's free and it's ready for you to use immediately! I was inspired by a story in the book "The Wild Card" by Hope and Wade King where a student had lunch with different groups of students for an entire month. How could that have a great impact on your relationships with students? Do you struggle with students creating naughty nicknames in Kahoot! games? Kahoot! has created a new feature to eliminate the temptation of typing a naughty nickname. Check it out and see if it's a good fit for your class. 038: Internet access for any assessment? What would happen if we allowed "open internet access" during any assessment? I saw this question on Twitter from John Eick (@John_Eick) over the weekend and it had me thinking. What would happen? Social media can be our lifeblood of classroom ideas, inspiration and connections. Here are some suggestions for making the most out of Twitter / social media for educators. 036: My daughter Cassie reviews Poptropica! Poptropica is one of my sixth grade daughter Cassie's favorite games. She makes the case for using it to help kids learn. It's so easy to Google almost anything ... especially assignments. Can we "make" students stop? What's the solution? 034: Google Apps for Littles: Believe they can! Littles can use Google tools too! In this book by Christine Pinto and Alice Keeler, they show you how! Padlet, a digital bulletin board-style collaboration tool, recently announced that it is no longer totally free. How should we deal with digital tools we have to pay for? Sketchnoting (or visual notetaking) is a very brain-friendly way of learning ... and it's TONS of fun! Hone your sketchnoting skills (and introduce it to your students) with #Sketch50! Check it out at sketch50.org or the #sketch50 hashtag on Twitter. The band OK GO has the coolest music videos! There's a lot of math and science behind these videos. They have recently created a fantastic resource for the classroom to help you inspire students academically with their music videos: OKGOsandbox.org. Students that use Google Classroom are greeted by header images every time they log in. Create your own custom Google Classroom header image. To give it some added flair, use animated GIF images to make it move! Hat-tip to Paul West (@pdubyatech on Twitter). March Madness and the men's college basketball tournament has people all over the United States buzzing with excitement. How can we use brackets to carry that excitement over into the classroom? Check out Brackify.com as a free digital tool to use. What's it going to look like? Really, it's anyone's guess how tech will influence education in the future. But an interview with Microsoft's CEO piqued my interest and got me thinking about it. How can hip hop influence and inspire students at a middle school in Bronx, NY? The effects can be farther-reaching than you might think. Listen as a principal, musician and filmmaker combine to influence student lives. More info: casadocumentary.com. Flipgrid's short video response platform has taken the education world by storm. What are some of the coolest ways teachers are using it? Flipgrid's Joey Taralson and Adam Parker-Goldberg share some ideas! 021: A full-color yearbook with Google Slides?!? Can you really produce a whole yearbook with Google Slides? Jennifer Scott's school did, complete with full color and a fancy cover. The total cost: $10. Plus, she has resources so you can do it, too! Branding isn't about making money and being famous. It's about sharing your story and letting people know what you stand for. Ben Cogswell and Josh Harris share how students and schools can benefit from a little branding. Alice Keeler says there's something missing from math instruction. It's dialogue. Math is more than putting your head down and completing problems. She talks about what we can do to change that. There's a trough in our thinking abilities in the afternoon. It can have a profound effect: as much as having a couple alcoholic drinks. How can we position students to succeed -- in class and on standardized tests? 016: Our digital work doesn't have to be 8.5"x11"
With online documents and slides, we often stick to the status quo for size. If certain work isn't going to be printed -- or displayed on a projector -- why do we keep it in traditional letter size? Here's a case for rethinking our digital working spaces. We spend so much time helping students with their writing skills. Giving them some guidance on speaking can have huge benefits. Here's a model for it, and it works GREAT with Flipgrid. Have you ever started a project and got stuck before you ever got started? There are some things we can do to help students overcome that obstacle and get started. Many of us know of "growth mindset" as the idea of "yet" -- I can't do it *yet*. But there are other small adjustments we can make in the classroom to help students better develop growth mindset. Twitter is the BEST thing that happened to my teaching career. It really saved it. However, there's a balance to be maintained, and if we're careful, Twitter (and other social media) can consume our lives instead of help them. 009: Personally created GIFs can make your students' day! GIFs are super fun. They're those moving image files you see all over social media. There's this fun tool you can use to record your own animated GIFs with your webcam. Add them to student work for feedback, to a class website, to Google files ... almost anywhere! So often, we encourage students to study by putting info into their brains by re-reading notes and chapters. But brain science tells us it's more effective if we study by pulling info FROM our brains. A great strategy for this is the digital brain dump. There's a button we use in many digital learning tools to keep kids from cheating. But it can do more than that! Learn how it can be used to help kids learn too. Podcasting is a growing medium. It let's you learn by listening -- consume content -- while doing something else. Students can share learning with an authentic audience by creating a free podcast. Learn how! How can we encourage students to use their voice -- in learning, in positive ways, to make a change -- in class and throughout our lives? 004: Google Drawings: Tricks you didn't know! Google Drawings is a great tool to help teachers and students create eye catching images digitally. There are some cool tricks to it that you might not know. In this episode, we cover some of them. You won't want to miss it! Story Speaker lets you create interactive "stories" or interactions with your Google Home. Learn how you can create them with NO CODING ... just a Google Doc and this add-on! Padlet, the web tool that lets you add digital sticky notes to a virtual bulletin board, has been around for a long time. But with new features -- take pictures, record video, and more -- there's more to love than ever. If you haven't checked it out recently, it's worth looking at! 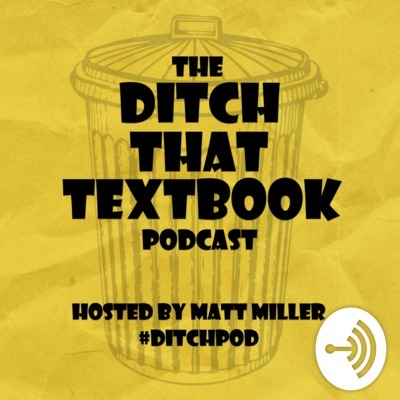 001: Welcome to the Ditch That Textbook podcast! I'm so excited to start this podcast! My goal is to equip, inform and inspire educators five days a week. In this episode, I will tell you what to expect from this show and tell you a little about myself.